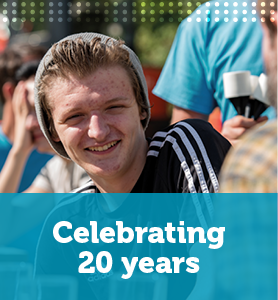 2018 is the 20th year that Clinks has supported voluntary organisations working with people in the criminal justice system. 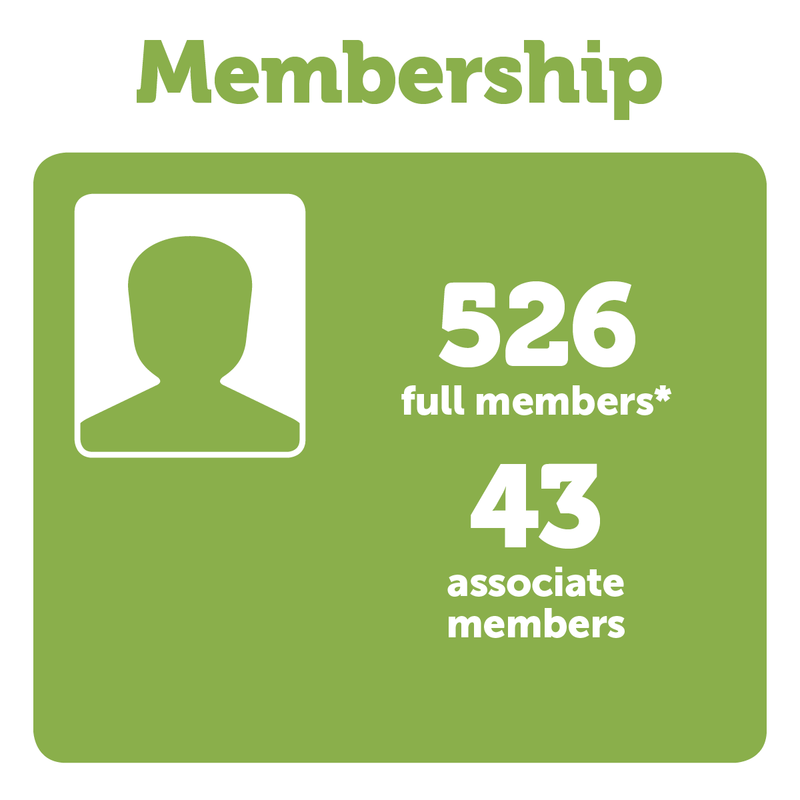 We’re proud to have grown from a small project working with organisations in London prisons, into a trusted infrastructure organisation working across England and Wales with over 500 inspirational members and more than 20 dedicated members of staff. Throughout our history our members have been, and always will be, at the heart of what we do. They are our focus. Our experience and our achievements together mean our work has deep roots, that we have solid relationships with the voluntary sector we serve and a strong influence with government decision makers. 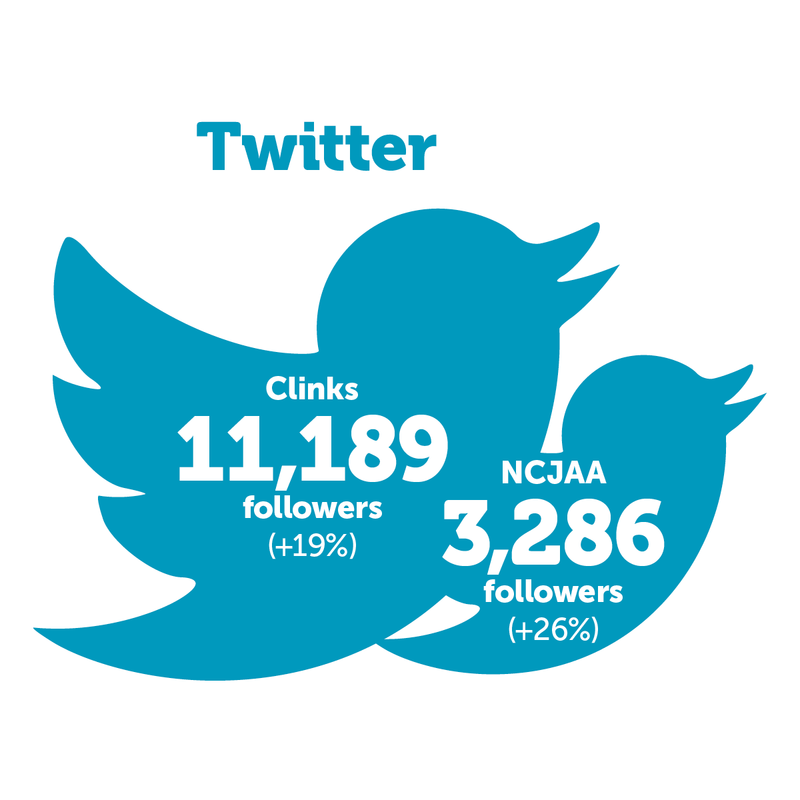 In 2017-18 our growing reach has meant we’ve been able to spread opportunities, share good practice and the latest news in the criminal justice system further and wider than ever before. We’ve continued to evolve and adapt to meet the changing needs of our members. We’ve supported a sector made up of more than 1,700 voluntary organisations navigating through a criminal justice system in constant flux, in a challenging funding environment, and helping more people than ever with increasingly complex needs to transform their lives. In 1993, the London prisons community links project was set up with the aim of coordinating voluntary organisations working in London prisons. In 1998 that project developed into a charity – Clinks. 20 years on and we can look back at everything that’s happened in that time with a sense of pride. We can also look into the future with a sense of purpose. We do this knowing that voluntary organisations supporting people in the criminal justice system in England and Wales have an essential role to play. Clinks needs to support them so they can support people to the best of their ability. 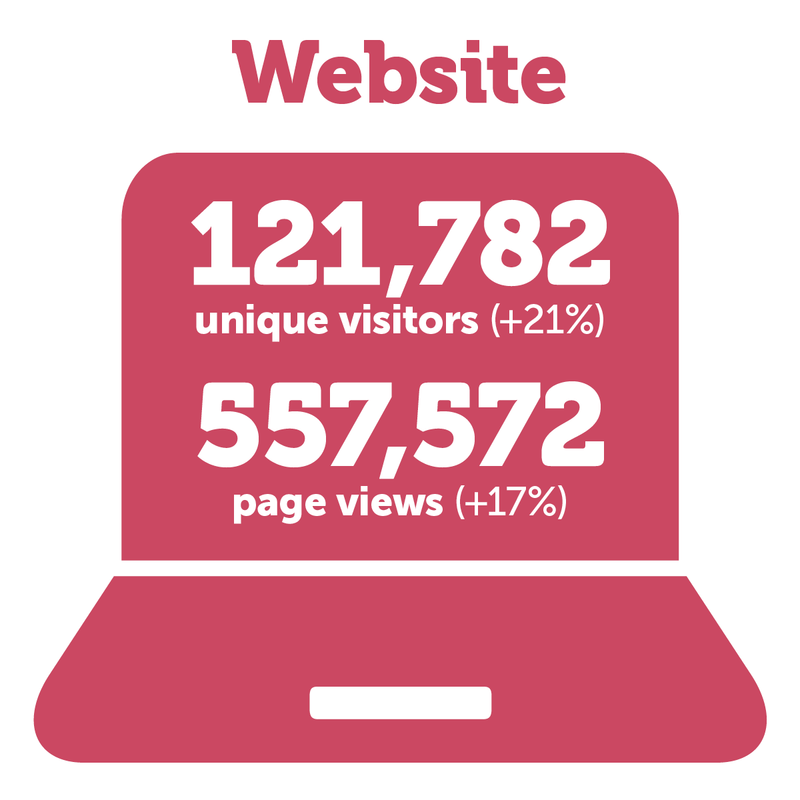 In this milestone year we’ve reached more people via our digital communications than ever before. We’ve increased our membership and reached out through networks and forums for organisations working in specific ways and with specific groups of people in need. We’ve provided opportunities for specialist organisations to influence policy including through the work of special interest groups of the Reducing Reoffending Third Sector Advisory Group. We merged with Women’s Breakout to protect specific support for organisations focussed on the needs of women in the criminal justice system. And through the work we’ve done to support the implementation of the Farmer and Lammy reviews we’ve continued to ensure that people who are marginalised in and by the system can have their voices heard and their needs understood. This year we’ve also started to look to the future and develop our strategy for 2019-2022. We will be working with the voluntary sector and with partners to identify what we do well and where we might need to focus into the future. We do this firmly committed to always being relevant to a sector who is needed now as much as ever in its 200 year history. 20 years on and we can look back at everything that’s happened in that time with a sense of pride. We can also look into the future with a sense of purpose. Nearly eight years ago, I wrote my first annual review foreword. I described 2011 as a challenging year for both the voluntary sector and the prison and probation services, each facing increased demand and decreasing resources. I expressed concern about the faltering ‘rehabilitation revolution’ in the face of increased prison numbers, the requirement for significant savings, and the early evidence of the impact of contracting and commissioning on the voluntary sector. In the intervening eight years, there has indeed been something like a ‘revolution’ in both prisons and probation; though not the one that was promised or hoped for. Yet the voluntary sector has not only survived, but continues to show the way in innovation and responsiveness – developing services which are designed from the ground up, with and for service users. It provides essential bridges between the criminal justice system and the services, communities and families that are crucial to transforming people’s lives, hopes and opportunities. Clinks provides essential bridges between the criminal justice system and the services, communities and families that are crucial to transforming people’s lives, hopes and opportunities. Clinks’ role and influence has also grown. It has strengthened the influence of the sector, ensuring that its voice and the voices of those it works with are heard, both nationally and locally. It provides a vital support and information network for the hundreds of organisations working locally to help people change their lives. Clinks has been a great organisation to chair, and it is a very hard one to leave. But I’m greatly encouraged by three things, in spite of an environment that is just as challenging as in 2011, if not more so. 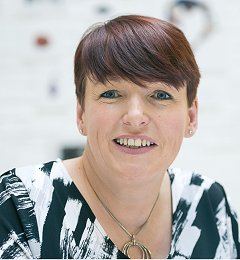 One is the widely- respected strength and expertise of the Clinks staff team, led by Anne Fox. The second is the knowledge, enthusiasm and commitment of my successor as chair, Roma Hooper, and the support she will have from the Clinks board. And the third is the resilience of the sector itself and its ability to hold on to the things that really matter. This will all be crucial as we all face the next set of challenges and opportunities. The voluntary sector has a wealth of collective experience and knowledge on how to improve the criminal justice system. Clinks is well-informed and ideally- positioned to make the case for our members, to voice their concerns, and seek solutions together. We work hard to understand the sector, and gather local intelligence on the challenges it faces. In this way, we can give it the help it needs to provide effective support and create lasting change in people’s lives. 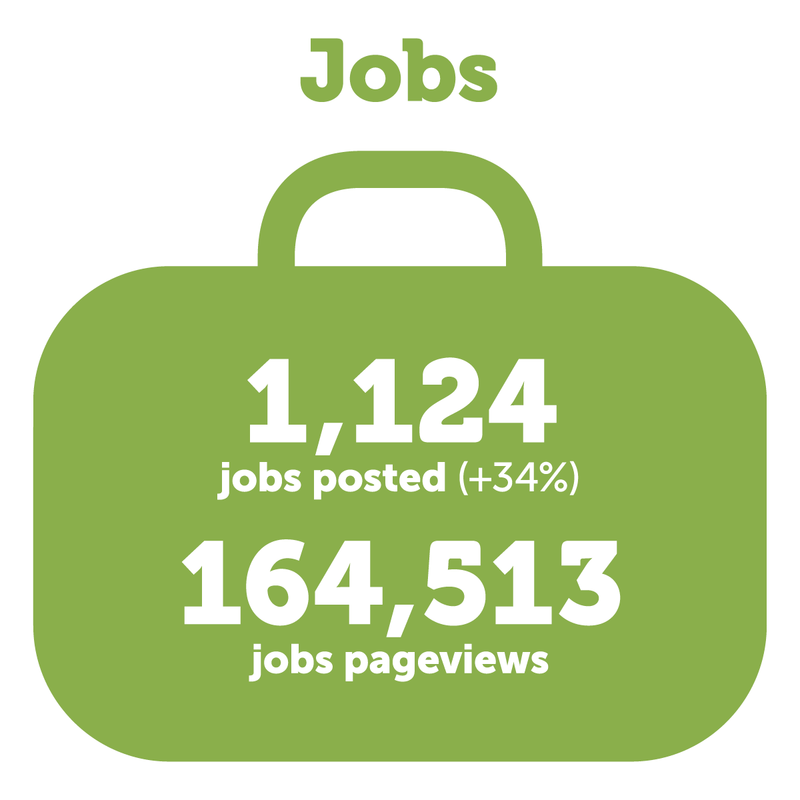 Our policy influencing activity has grown substantially since Clinks’ inception. Throughout, we’ve continued to keep our members up-to-date about changes affecting them, and worked collaboratively to ensure their knowledge and expertise are utilised by policy makers. The criminal justice system has long been characterised by change, and this year was no different. In 2017-18, our members have had Clinks’ unwavering support through changes in Secretary of State for Justice and a Cabinet reshuffle. Clinks has worked hard to develop new relationships with ministers, ensure they understand the important role of the sector, and hear the voices of its staff and volunteers. It is imperative we maintain our excellent relationships with the Ministry of Justice (MoJ) and Her Majesty’s Prison and Probation Service. Senior experts from the voluntary sector advise the MoJ through the Clinks-chaired Reducing Reoffending Third Sector Advisory Group (RR3). The group has become an established part of the MoJ’s engagement with the voluntary sector. This year the RR3 agreed to act as an external advisory group to the Cabinet Office’s inter-ministerial reducing reoffending task group. As well promoting voluntary organisations to the MoJ, we have built on our reach and influence into other departments with influence over the lives of people in the criminal justice system. We’ve given evidence to the Ministry of Housing, Communities and Local Government, responded to the Department for Communities and Local Government, NHS England, and the National Institute for Health and Care Excellence, to ensure the voices of our members are heard across the government. As a member of The Monument Fellowship we have worked to encourage thinking amongst ourselves, our partners and our networks about how we can improve the criminal justice system. 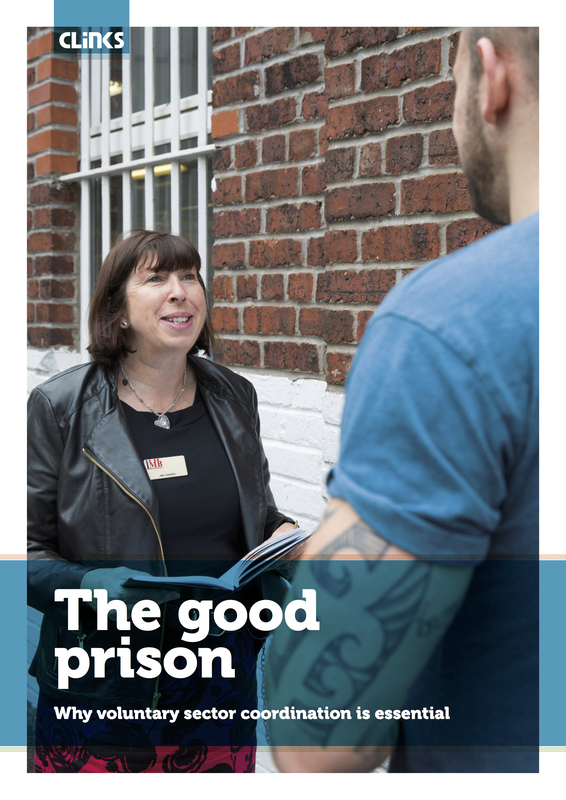 In 2017-18 the fellowship published a collection of essays responding to the question ‘What do offenders need to learn?' and invited responses to the second question ‘How can we make society less violent?’. 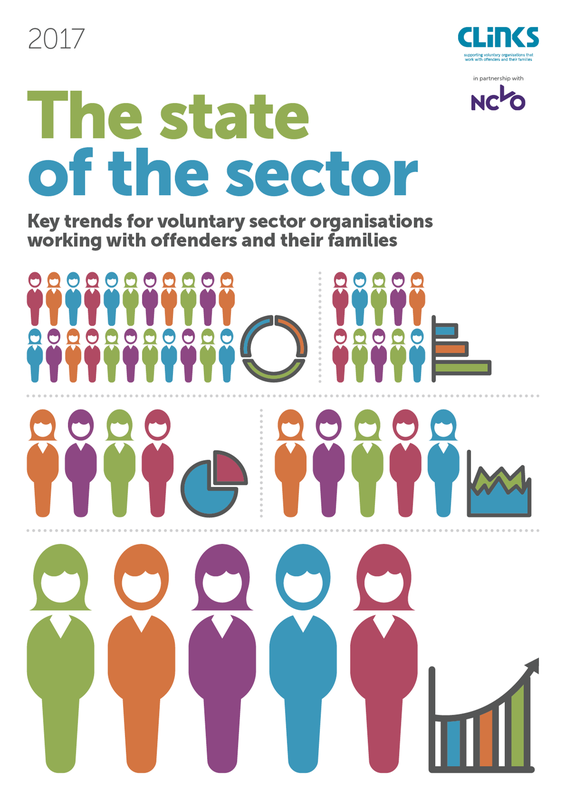 We’ve carried out research into the state of the voluntary sector in the criminal justice system since 2010. This work has enabled us to monitor the health of the sector. What organisations tell us has a direct impact on Clinks’ work and how we influence government policy. 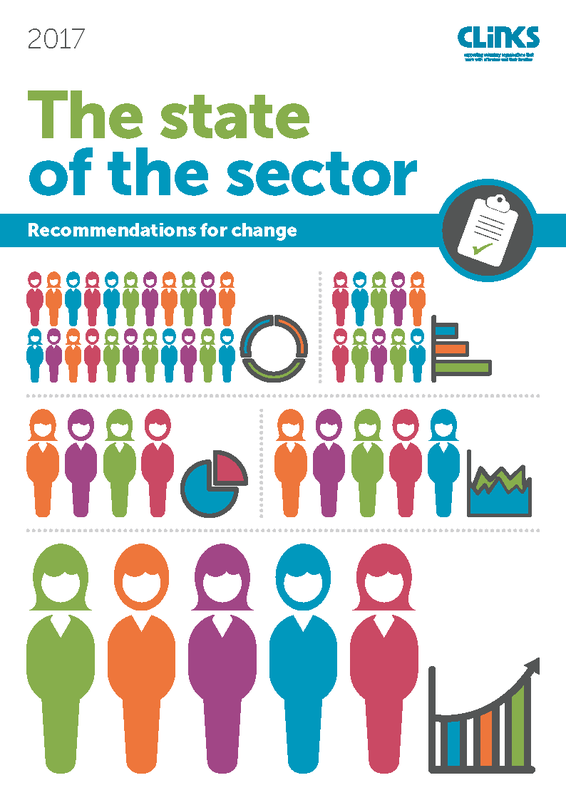 Our annual State of the sector research gives us the evidence we need to influence decision-makers. 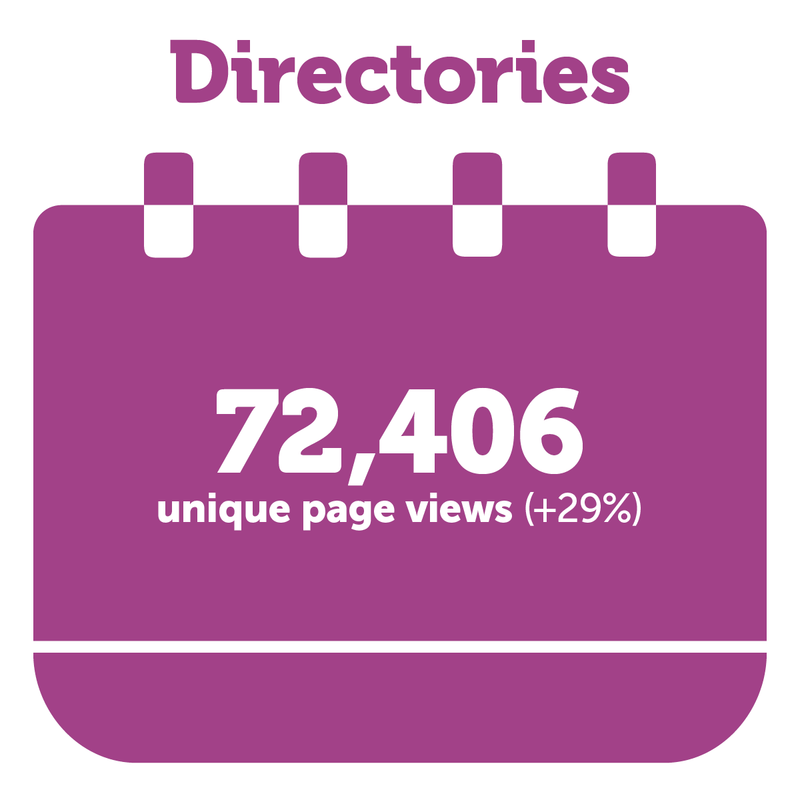 In 2017-18, we heard from a record number of organisations. Our latest State of the sector report is the most comprehensive information we have about organisations working in the criminal justice system to date. 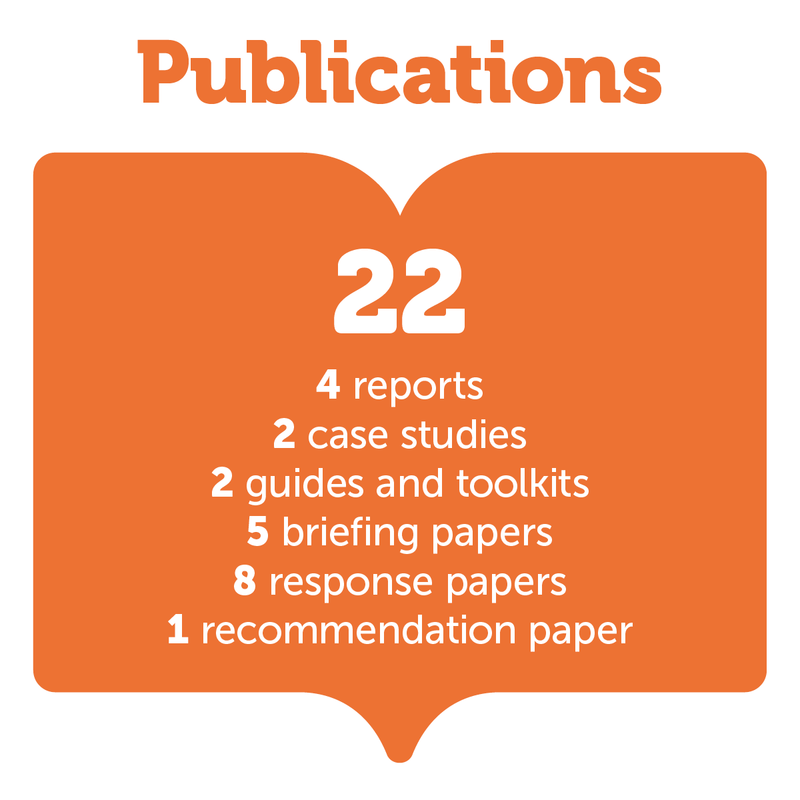 224 organisations completed our survey, and analysis was carried out on the financial information of 752 charities and 220 social enterprises. Our results were concerning. We continue to hear that service user need is becoming more complex and immediate. Organisations are responding flexibly to this, but this is leading to larger caseloads for staff. Grant funding is essential for small specialist organisations. But for organisations whose core work is in the justice system, this has reduced by 50% from government sources over an eight year period. On a more positive note, 35% organisations reported that they involve their clients in the design and delivery of their services. Clinks supports our members to involve service users at all levels through our Service user involvement managers network, which promotes good practice and supports our members to implement meaningful service user involvement. Senior civil servants, funders from charitable trusts, voluntary organisations and other stakeholders attended our State of the sector launch event. After the event we published nine recommendations for voluntary organisations, charitable trusts and the government to improve the state of the sector. Ever since the creation of a statutory probation service, voluntary organisations have worked to meet the individual needs of those in the criminal justice system. They support people who have fallen through the gaps, and people whose needs are not well met. This must continue, and the voluntary sector should be recognised and treated as an equal partner with a wealth of expertise and knowledge to contribute to the design and delivery of probation services. 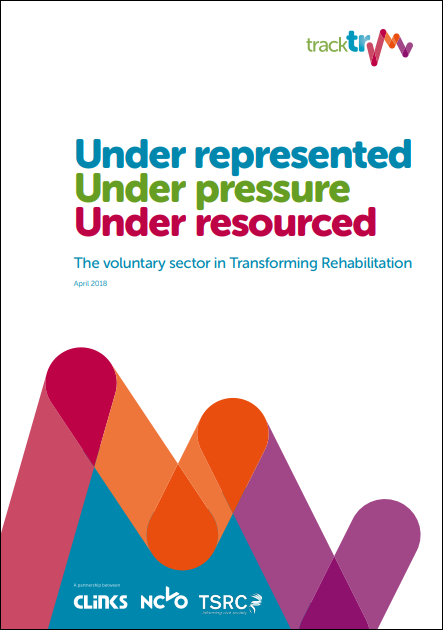 In response to feedback from our members, we carried out in-depth research into the voluntary sector’s experience of the changes to probation services brought about by the Transforming Rehabilitation reforms. The TrackTR project is a partnership between Clinks, the National Council for Voluntary Organisations, the University of Birmingham’s Third Sector Research Centre and the Open University’s Centre for Voluntary Sector Leadership. In 2017-18, our most recent analysis of 132 voluntary organisations and six case studies has made clear the full impact of the reforms on organisations and the people they support. We’ve fed back to the Ministry of Justice (in our report published in May 2018) that the sector is under represented, under pressure and under resourced, and that people are suffering as a result. It is clear the sector has not been able to play its part. We’ve continued to encourage and support the Ministry of Justice and Her Majesty’s Prison and Probation Service to engage with voluntary organisations to ensure that future reforms to probation services fully consider the role of the sector. We recommended that the Ministry of Justice openly consult on the future of probation. Clinks has historically had a focus on supporting local organisations with a strong connection to the communities they serve. Voluntary organisations and partners working locally provide vital intelligence about the reality of experiences at a local level which is utilised nationally by Clinks to advocate for the needs of the voluntary sector. In 2017-18, our area development team has provided focused support in the North East, North West and South West. The team has supported members through many challenges during the year, including difficulty in accessing people in prison due to prison staff capacity; the complexities of probation supply chains; and confusion in the provision of resettlement services. 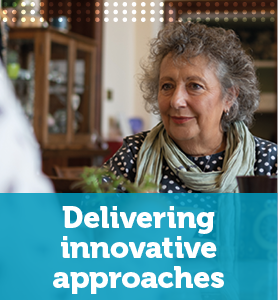 We’ve supported members to navigate complicated commissioning and contracting processes, and through a shift towards co-commissioning structures between local public sector organisations. We have continued to work closely with Greater Manchester and the justice devolution agenda. Our revised Working and volunteering in prisons training package has enabled us to deliver training in Sheffield and Manchester to support individuals new to working and volunteering in the prison environment. We’ve held eight Regional criminal justice forum events for local organisations to come together, learn about each other’s work, discuss shared challenges and opportunities, and receive an update on developments both regionally and nationally. 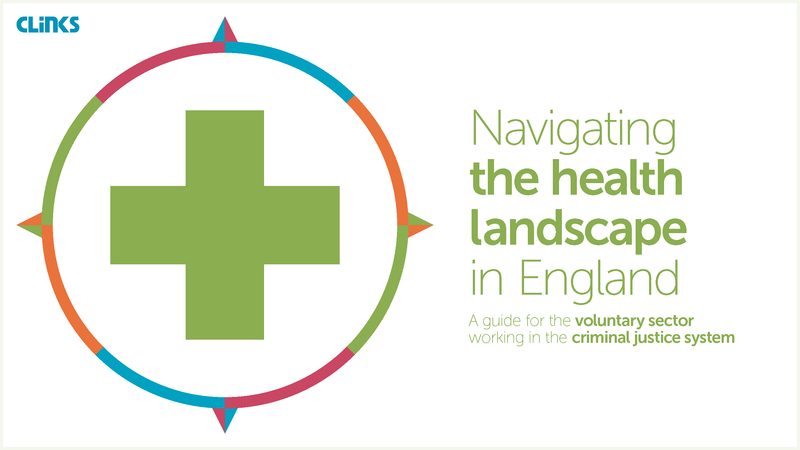 We’ve shared the findings and recommendations of our State of the sector research, discussed regional variations, and looked at how Police and Crime Commissioners can work with the voluntary sector to reduce reoffending. 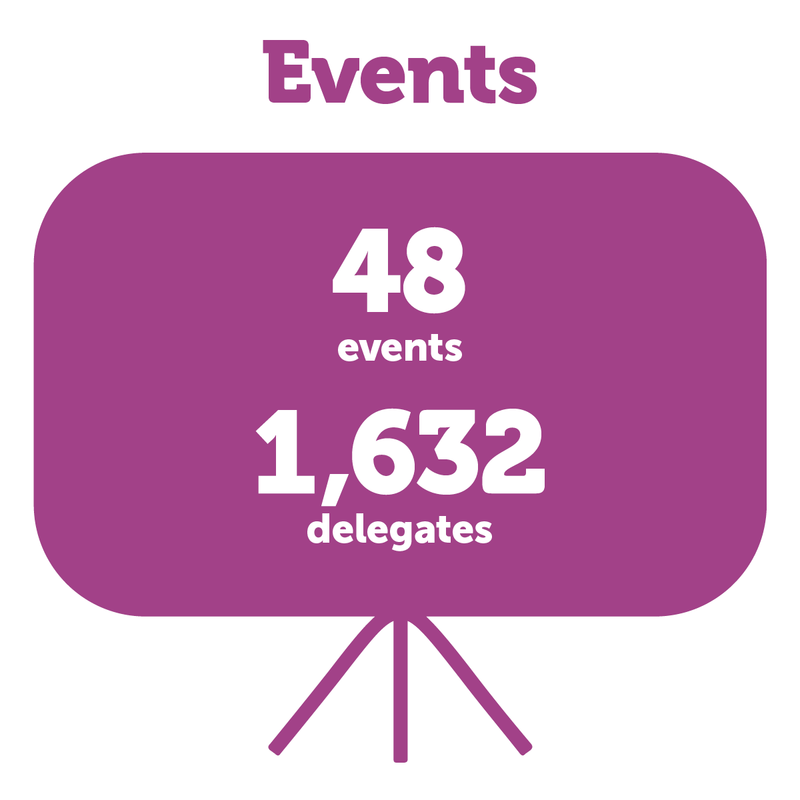 We also kept the sector informed through regional e-bulletins and events. We’ve provided one-to-one support with fundraising, volunteer recruitment, evaluation methods and partnership building. The team has built strong relationships with local prisons, probation providers and commissioners. It has ensured the voice of the voluntary sector is heard and that local organisations are involved in criminal justice policy development, and strategy and structures within local areas. We are delighted to say that we are expecting to build the team next year, with new team members planned for Wales and West Yorkshire. Clinks’ diverse and vibrant membership has a history of providing tailored support to people with specific needs. We put a spotlight on these groups and illuminate the challenges the voluntary sector too often faces in delivering its specialist services. We aim to ensure organisations have good support to help them flourish so they can continue to be responsive to people’s needs. For many years Clinks has championed the voluntary sector’s campaigning for, and development of, pioneering work in involving service users. The sector has long recognised that service users’ knowledge and experience is a valuable resource for the design and delivery of services in the criminal justice system. Our work has ranged from establishing a taskforce to identify key areas in which service user involvement can make a difference; to conducting reviews of service user involvement across prison and probation; to creating best practice guides. 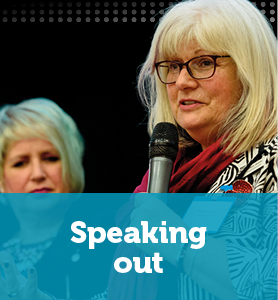 We’ve seen a growing recognition and acceptance of the vital importance of involving the voice of people with lived experience in shaping criminal justice and voluntary sector services. In 2017-18, Clinks’ Service user involvement managers’ network has supported 90 people from 65 different Clinks member organisations to create and maintain meaningful opportunities for people with lived experience to be involved in their organisations. 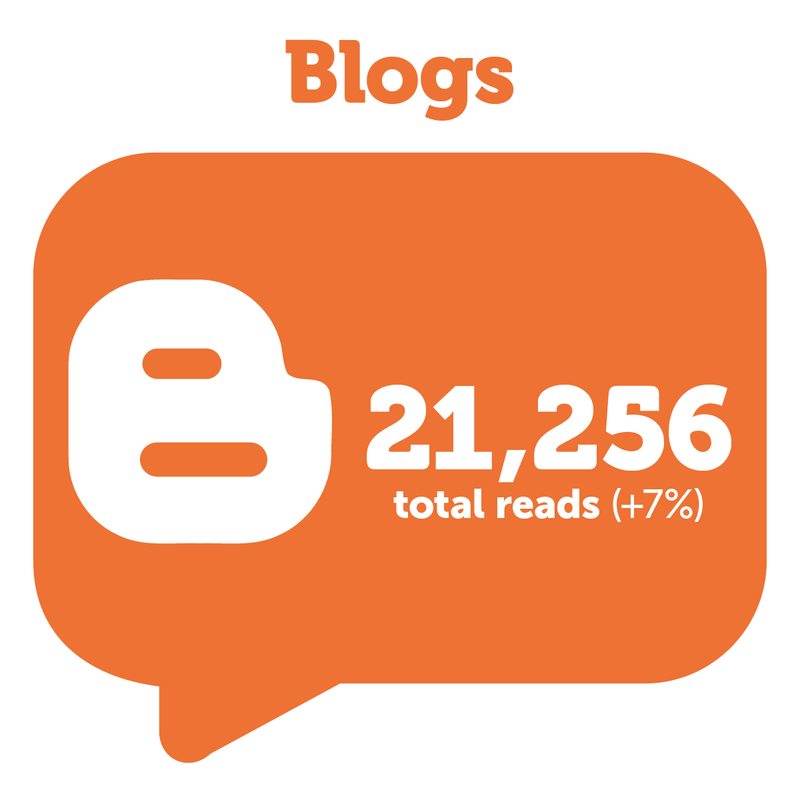 The network does this through sharing and promoting resources, ideas and best practice across the sector. We’ve delivered three events on themes important to the network. These gave an introduction to people new to the subject; guidance on how to involve service users in governance; and how to involve young people in youth justice services – in partnership with Beyond Youth Custody, Everton in the Community and Peer Power. We heard fantastic examples of involvement and co-production, and heard from inspirational people with lived experience on how they contributed and the difference they made. The Charities (Protection and Social Investment) Act 2016 included new rules which prevent people with certain convictions from being able to run a charity, unless they have clearance from the Charity Commission. These rules came into force on 1st August 2018, meaning that a wider range of criminal records are covered and current and new trustees are affected as well as senior managers. In 2017-18 we worked with Unlock to produce guidance for the sector in preparation for the rules coming into force and to engage with the Charities Commission to inform the process for individuals applying for clearance. Clinks and our members strive to tackle racism and discrimination in our criminal justice system. But race equality needs a central place in government policy so that black, Asian and minority ethnic (BAME) people are no longer over represented in our justice system, and don’t experience the same poor outcomes. Clinks has a proud history of campaigning on these issues and working alongside the BAME-led voluntary sector to advocate for change. This work led us to support Baroness Young of Hornsey in efforts to improve outcomes for young black and Muslim men between 2011-2013. The resulting report firmly placed race equality on the criminal justice agenda, and we continue to advise the government on this today through the Young Review Independent Advisory Group. In 2017-18, David Lammy MP credited the Young Review at the launch of his review into improving outcomes for BAME people in the justice system. In partnership with Black Training and Enterprise Group Clinks supported our members to provide the Lammy Review with evidence of what works for the unique needs of BAME communities. This year we’ve made sure voluntary organisations are engaged in the government’s work towards putting Lammy’s recommendations into practice. We’ve done this through our involvement on the Equality Advice and Scrutiny Panel established by Her Majesty’s Prison and Probation Service, and by facilitating a series of meetings between our BAME members and ministers. Alongside this, we explored solutions to addressing racial disproportionality in the youth estate with officials in the youth justice policy unit. Clinks has consistently raised the issue of neglect of women’s unique needs in the criminal justice system with ministers, civil servants and stakeholders. The voluntary sector developed a holistic woman-centred approach to address this. 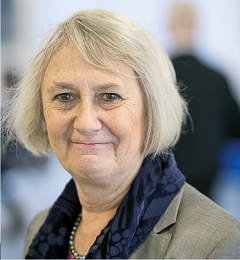 Baroness Corston’s seminal review in 2007 described how the system failed women, and identified such services as key to changing the situation. We will continue to work with the women’s sector to speak out for a system that better meets women’s specific needs, and the sector’s role in this. In 2017-18, we’ve worked hard to communicate the many challenges faced by the women’s sector working in prisons and the community to the government during the development of the government’s Female Offender Strategy. In February 2018 Clinks led a delegation of women’s centre members to meet Phillip Lee, Parliamentary Under-Secretary of State for Youth Justice, Victims, Female Offenders & Offender Health. We spoke of the impact of the Transforming Rehabilitation reforms on probation and women’s community services, including the closure of four women’s centres over the previous two years. Clinks worked closely with Women’s Breakout, the infrastructure organisation for women’s organisations in criminal justice. Sadly, during this year it faced insurmountable financial issues, and approached Clinks to take on its services. Clinks wanted to ensure that these important organisations received the support they need, and a merger took place in July 2017. We’ve worked to understand the priorities and needs of Women’s Breakout’s 59 member organisations so we can take this crucial work forward. Our women’s network meetings around the country provided the latest news and updates, and shared good practice and expertise. They gave members an opportunity to ensure that our representatives on the government’s Advisory Board for Female Offenders and Reducing Reoffending Third Sector Advisory Group are up to date with sector views and concerns. We launched our new ebulletin for the women’s sector to share the latest developments in the criminal justice system and keep our members up to date and abreast of opportunities available to them. Strong family relationships play a key role in reducing the possibility of reoffending. Imprisonment has a profound impact on families and, in particular, on the children of imprisoned parents. Strong family relationships play a key role in reducing reoffending. Our members design and deliver services which develop and maintain family relationships, as well as supporting adults and children affected by a family member’s involvement in the criminal justice system. Following the merger of our partners Action for Prisoners’ and Offenders’ Families with Family Lives in 2014, organisations asked Clinks to provide infrastructure support to families organisations in criminal justice. Members trusted Clinks as an independent organisation to facilitate communication and raise issues with the Ministry of Justice and Her Majesty’s Prison and Probation Service. In 2017-18, family services for prisoners were put out to tender. Most contracts were won by the voluntary sector. Organisations had the opportunity to feed back their experiences of the commissioning process to the Ministry of Justice through the Reducing Reoffending Third Sector Advisory Group. This information will inform future commissioning processes. In August 2017 Lord Farmer published the findings and recommendations of his review, conducted in partnership with Clinks. It explored how supporting men in prison in England and Wales to engage with their families can reduce reoffending and assist in addressing intergenerational crime. The review emphasises the fundamental importance of family relationships. The Ministry of Justice has accepted all the recommendations and has developed an implementation plan. Clinks is a member of the working group, and is committed to ensuring that progress is made on the recommendations, and that positive family relationships are placed at the heart of work to support people in prison and reduce reoffending. Voluntary organisations are creative, diverse and multifaceted, playing an essential role in helping people to desist from crime and turn their lives around. Clinks supports them to work in partnership with local agencies across sectors. We help members promote innovative and transformational ways of working to encourage others to adapt and develop these in order to better meet individual needs. We share the learning from their projects, celebrate their successes, and seek to work together to find new solutions to difficult issues. Clinks started life as a small project working with the organisations in five prisons in London. We worked with the prison service to develop Prison Service Order 4190 Strategy for working with the voluntary and community sector. Over the last 15 years the prison population has risen by 20%, despite falling crime rates. This record population combined with an aging infrastructure and staff shortages, is causing significant challenges for the prison system. In 2017-18, we continued to see prison disturbances, an increase in assaults, suicide and self-harm, and increasing use of New Psychoactive Substances. Between September 2016 and October 2017 Clinks supported a voluntary sector staff member in three prisons in the South West. The project supported better co-ordination of the sector, improved relationships between sector and prison staff, and greater mutual understanding. This contributed to safer and more rehabilitative prisons. It has demonstrated that a small investment in joined-up partnership work within a prison can have a significant impact. We’ve shared the learning from the project across the Her Majesty’s Prison and Probation Service and the prison estate, and will seek to replicate this approach in other prisons in the future. Many of the people our members support are battling with drug and alcohol misuse, housing issues, and poor mental health. They have often failed to get the integrated and holistic support they need from siloed local agencies. Our aim, through the Making Every Adult Matter coalition, has been to give these people a voice in national policy making, and support local areas to provide a more holistic response to those with multiple and complex needs. Through supporting people with lived experience to meet with decision makers we have seen these issues move up the political agenda. In 2017-18, Clinks’ area development team has supported five new local areas to design and deliver better co-ordinated services for people with multiple needs. We also supported three Big Lottery-funded Fulfilling Lives areas, a programme funding partnerships of local organisations to work together to improve services for multiple and complex needs. This year we’ve started a programme of research into how these areas are able to respond to the needs of women. We’ve focused particularly on the impact of welfare reform on people facing multiple disadvantage, specifically the impact of the roll out of Universal Credit. We’ve fed into the Work and Pensions Select Committee inquiry into personal independent payments, and we gave oral evidence to the All Party Parliamentary Group on Complex Needs inquiry into social action for people with multiple disadvantage. We engaged in Agenda and AVA’s national commission for women facing multiple disadvantage including domestic and sexual violence. Through special interest groups of the Reducing Reoffending Third Sector Advisory Group, which Clinks chairs, we have brought together members working on both accommodation and substance misuse issues to use their knowledge and expertise to advise the Ministry of Justice. We explored the barriers people in contact with the criminal justice system experience when trying to access appropriate accommodation and made recommendations to the Ministry of Justice for how these can be addressed. Health and social care is a vital part of the picture. People in contact with the criminal justice system have significantly higher health needs and worse health outcomes than the general population. Our focus on health and justice began in 2013 when we joined the Department of Health Strategic Partner Programme with Nacro and Action for Prisoners' Families. Today, our work with the Health and Wellbeing Alliance continues to build a bridge between the voluntary sector, the health and care system, and the people who use it. We work together to push for high quality services which improve health and wellbeing, respond fairly and effectively to all communities, and give people in the criminal justice system a strong voice. 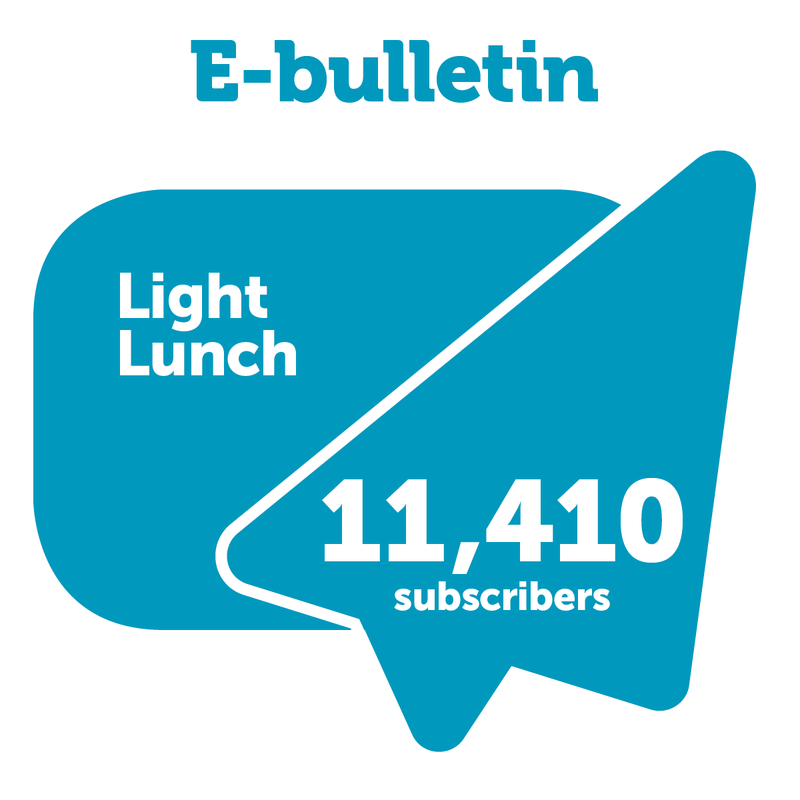 In 2017-18, we’ve supported our members to understand key developments through monthly health and justice ebulletins, briefings and blogs, providing clear and concise information to help people keep up-to-date. Our members’ views on the health and care needs of the people they work with, and their priorities for improving services, have informed our policy and influencing work. 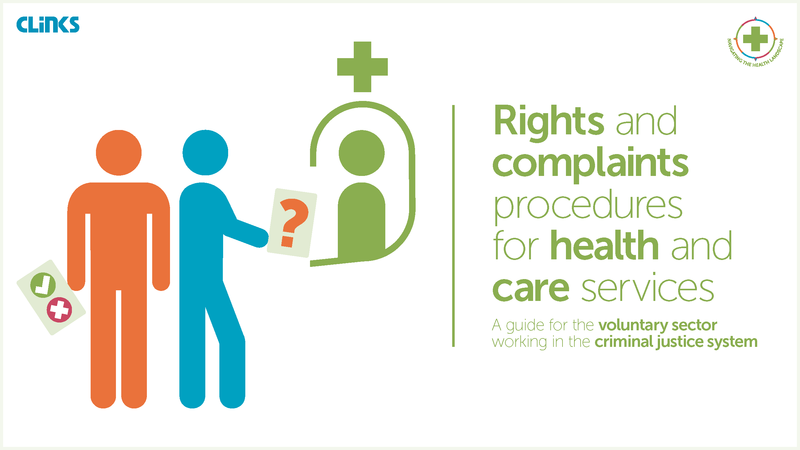 We updated our guides for the voluntary sector on the health commissioning landscape, and the rights and complaints procedures for people using health services. Clinks and eight other members of the Alliance came together to deliver a new project to address health inequalities for vulnerable and excluded groups. We’ve represented the views of people with lived experience, and the expertise of our members, in a wide range of government consultations. This has included working with partners to contribute to the Department of Health and Ministry of Justice’s work to increase the use of mental health, drug, and alcohol treatment requirements. There is a long and successful history of innovative, creative activity happening in criminal justice settings. Clinks has managed the National Criminal Justice Arts Alliance (NCJAA) since 2010. It has grown to have over 900 members which use arts to empower people in the criminal justice system to turn their lives around. In 2017-18, the NCJAA's professional mentoring scheme provided 16 members with opportunities to develop professional skills and knowledge in the field of arts and criminal justice through eight one-to-one mentoring relationships. The NCJAA continues to hold events and publish blogs, events, news and opportunities on its website. Its award-winning Evidence Library now holds over 100 evaluations of the impact of arts projects in criminal justice settings. The monthly NCJAA newsletter reaches 3,500 subscribers. It has a growing social media following on Twitter and Facebook. The NCJAA was commissioned by Arts Council England to deliver a series of round-table events on what success would look like in arts and criminal justice. Specialist organisations working in the field, cross-government policy leads, prison governors and heads of probation, and people with lived experience of the criminal justice system came together to discuss strategic commissioning, partnership working, improving quality and arts for young people. At the NCJAA's annual conference at the National Theatre, Darren Henley OBE, Chief Executive at Arts Council England, gave a positive and encouraging keynote speech to 130 delegates, acknowledging the contribution of specialist organisations and inviting them to work closer with Arts Council England. A video filmed at the event features responses from sector leaders and supporters making a compelling case for arts in criminal justice. It has been viewed and shared over 1,000 times on Vimeo. In 2018 the NCJAA became an Arts Council England national portfolio organisation and is now a sector support organisation for arts in criminal justice. In 2017-18, we carried out a survey to explore understanding and take up of social investment among voluntary organisations working in the criminal justice system. This snapshot indicated that the use of social investment is low, that just over 50% are interested in exploring it, and that respondents wanted more information in order to find out more. Our conversations with the voluntary sector revealed that there was an overall divide between social enterprises, who expect to use social investment and are comfortable with its language and models, and smaller and more traditional organisations whose income strategies are based on receiving grants. We also found that social investment often took the form of social impact bonds, presumably because voluntary organisations working in the criminal justice system rarely have a substantial earned income stream. Clinks ran three social investment events in London, Bristol and Manchester. 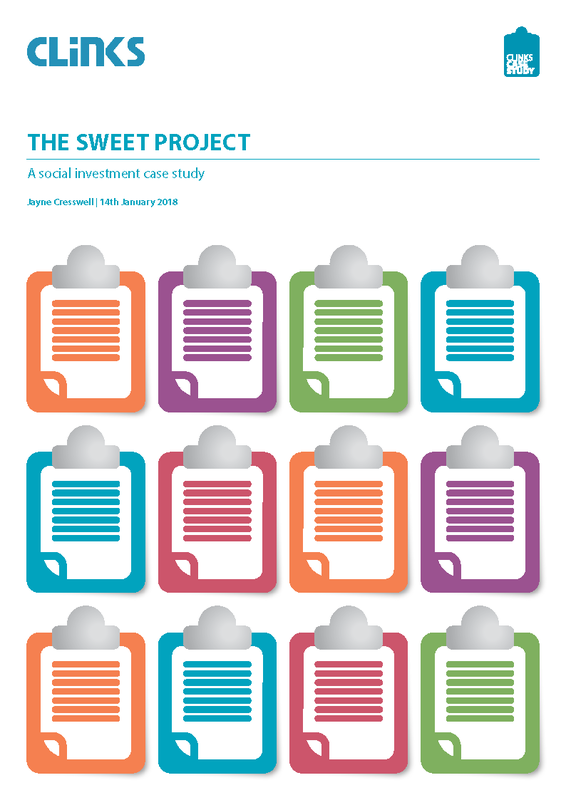 These included an overview of social investment, and case studies from organisations providing an account of their experience using it, and what they had learned from it. 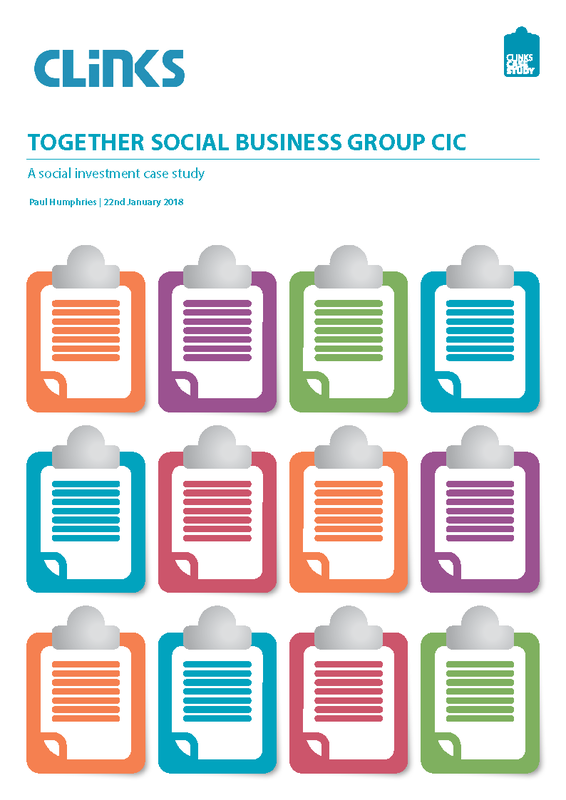 We also used digital communications, including blogs and case studies on members’ experiences, to help organisations find out more about whether and how they might use social investment. A huge thank you to our funders for their generous support.